This release focuses mostly on fixes. The most critical issues which were fixed in this release are auto-importing packages from unreachable testdata directories and resolving cap expressions. go vet tool is built-in tool now and can be invoked on selected file or directory via Code | Go Tools | Go vet menu or via editor menu. Show info action is reimplemented using built-in Expression Type action which is available by Alt+= (Ctrl+Shift+P on Mac) shortcut. Also it works now on variable/constant definitions. 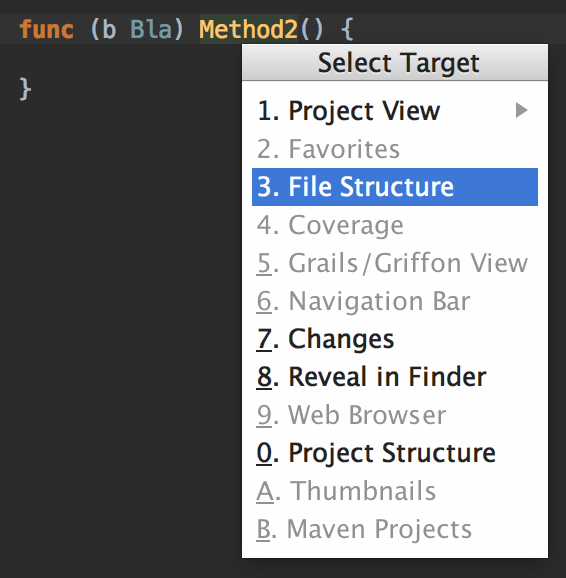 Since this release it’s possible to use Autoscroll form source mode in File structure tool window for go sources. Navigate to... | File Structure action works now as well.